WhatsApp iOS 7 Rejected by Apple? WhatsApp iOS 7 Update Rejected by Apple! What a sad news! We have long been waiting for the release of WhatsApp for iOS 7 update. Especially after the release of WhatsApp Golden Master, we were kinda sure it is going to be soon. But nope! Apparently Apple has WhatsApp iOS 7 rejected from its end. All of us who were hoping to see WhatsApp for iOS 7 update coming soon; lets get a cup of coffee to drown this news that it is not going to come any sooner. As the news go around Twitter, Apple has WhatsApp iOS 7 rejected from its end. Several developers and beta testers have even tweeted that Apple has denied the latest update. None of the tweets sharing that Apple has rejected WhatsApp for iOS 7 update goes beyond the news itself. Hence we do not know what exactly is the reason behind this rejection. As reported earlier, WhatsApp for iOS 7 update was going to carry some new features [Check out the video here: WhatsApp iOS 7 Video – App Ranked No.1 for iPhone] including a photo editing feature offering users with its filters and basic editing capabilities. Design too looked pretty good with a bit of more blue than usual green. However, we cannot say for what reason has Apple actually denied this update. WhatsApp for iOS 7 will be a completely redesigned app [Read: WhatsApp for iOS 7 Screenshots – Leaked Images] for Apple’s latest iOS 7 hence there could be many reasons behind this rejection. This news should also be taken with some grain of salt as this could be a tactic to create some buzz – or rather keep the buzz around WhatsApp for iOS 7 alive. It could be very much a possibility that we see WhatsApp for iOS 7 launching this week. We’ll have to wait for this though. 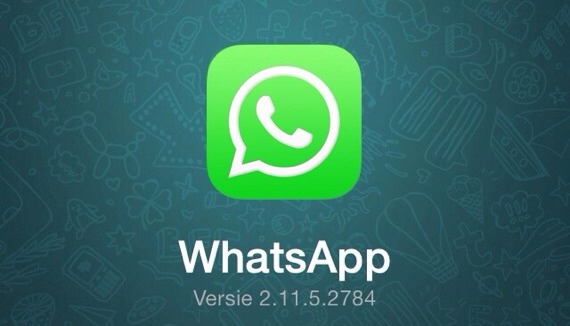 Update: A Dutch tech blog WhatsAppen.nl has issued an update claiming that Apple hasn’t got WhatsApp for iOS 7 rejected. The site refers to Spokesperson of WhatsApp as its source.